Samsung intends to showcase the upcoming Galaxy S9 and S9+ for the first time at CES in January, according to a new rumor allegedly originating from "someone briefed on the company's plans". It's unclear how much information about the devices will be shared on that occasion, however, since Samsung apparently still plans to hold an official unveiling event in March. The Galaxy S9 and S9+ will have the exact same screen sizes as their predecessors, and very similar looks. 2018 will be an iterative year for the Korean company's flagships, so you shouldn't expect a new revolutionary design. There is going to be a strategy change, though, since unlike what it did with the S8 and S8+ Samsung plans to differentiate more of the S9 and S9+'s specs. The bigger model is said to sport a dual rear camera setup (unlike the S9) and more RAM than its smaller sibling. Whereas the S9 will come with 4GB of memory like the S8, the S9+ will have 6GB like the Note8. Samsung is thus emulating Apple's decision to endow the iPhone 7 Plus and iPhone 8 Plus with dual main cameras and more RAM, and not bring either feature to the iPhone 7 and iPhone 8. 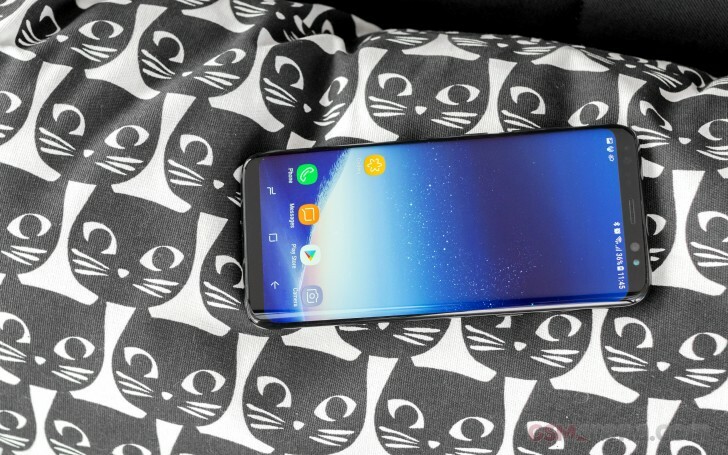 The area that will house the rear camera on the S9 (and dual cameras on the S9+) and the fingerprint sensor will be arranged vertically this time around, with the scanner on the bottom, so it definitely looks like Samsung's been listening to user feedback regarding the odd placement of the biometric sensor in this year's models. And in another first, the S9 family will come with AKG-branded stereo speakers. As logic dictates, Samsung will be using the model number SM-G960 for the S9 and SM-G965 for the S9+ (the S8 was G950 and the S8+ G955). The new handsets will boast 10nm chipsets, which we assume are going to be either Qualcomm's Snapdragon 845 or a new Exynos part, depending on market. Internal storage will stay at 64GB for both upcoming flagships, with expansion via microSD. Oh, and the 3.5mm headset jack isn't going anywhere. Finally, Samsung will be launching a new DeX docking station too, alongside the S9 and S9+. This will be backwards compatible with the company's 2017 flagships, and will allow the phones to lay flat and turn their screens into a touchpad or a virtual keyboard when attached to an external display.